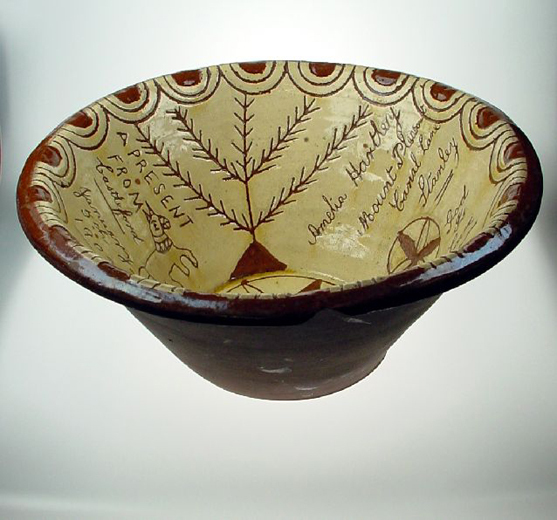 A large mixing bowl with inscriptions and drawings scratched in the yellow glaze of the inside. They include plants, a butterfly and a horse. The bowl was a present from Castleford to Amelia Hartley of Stanley on 5th January 1903.